Sun Valley, Idaho is a very special place for my family. My maternal grandfather loved to fish and Sun Valley was his favorite spot. Once my parents got married they started going yearly with my oldest sister and they bought a house there. 30+ years later we still have that house and go as often as possible. My sister and brother in law even got married in Sun Valley (during the winter). The lodge with gorgeous flowers in front! 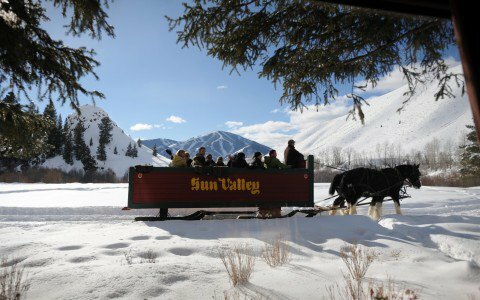 Sun Valley is the perfect place for family vacations! When we were little we built forts in the trees, raced sticks in the streams, and rode our bikes for hours! Now that I am older I love to just sit outside and people watch! Baby Nautical loved watching the ducks in the pond and kids ice skating (there is an outdoor ice skating rink year round). In August they have a free symphony on the grass. We set up chairs, enjoyed the music, and watched tons and tons of kids run around. 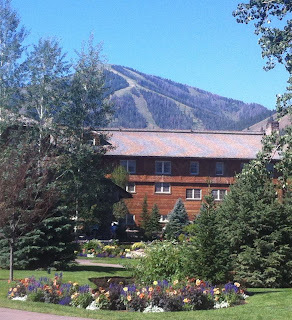 There are adorable kids and the cutest dogs EVERYWHERE in Sun Valley! 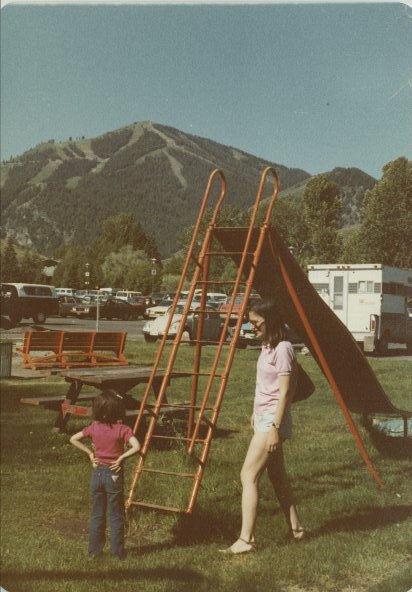 A few years ago my dad and stepmom decided to get a place in Sun Valley too. This was especially helpful when my sister got married-room for all of our family AND many of the wedding guests! The ice show is so fun! Skating under the stars! I'm stopping by from Kelly's Korner Show Us Your Life. I'm having such a great time looking at everyone's vacation photos. It's also giving my husband and I some new ideas for places we might want to visit. 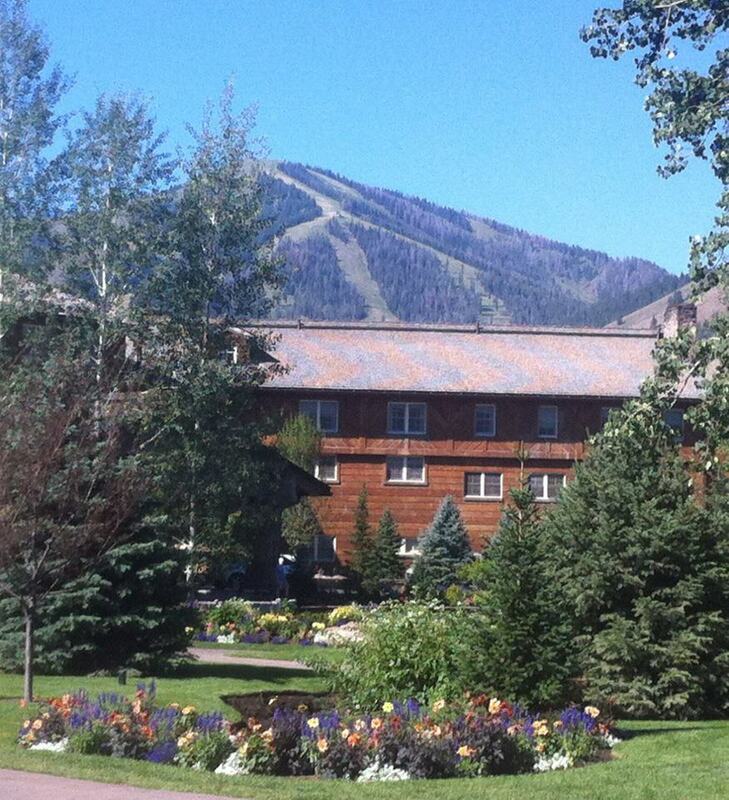 Sun Valley looks like a beautiful place. This looks gorgeous! Seems like you have a lot of great memories there! never ben to sun valley...it's in CA right? 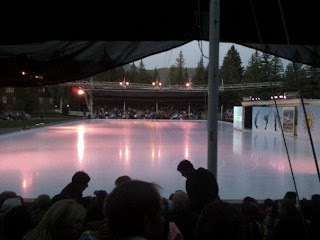 but the ice skating looks so cool!! Awesome place! 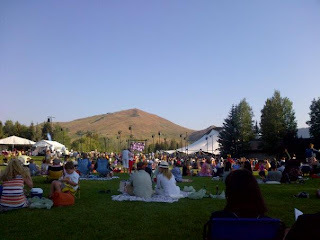 My friends have gone to Sun Valley every year since they were born. I love the idea of having an annual vacation spot. It looks so nice! I love that wedding photo of your sister! I always wanted a winter wedding. Might be going this summer and these pictures are making me even more excited about that! Please email me if you have any questions or need recommendations. It is such a wonderful place, especially in the summer.